We take care of your exterior siding installation, repair and renovations. 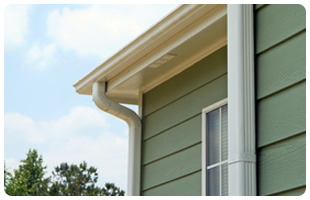 Vinyl siding, the popular choice among today's consumers, requires little maintenance. Just an occasional rinse with the garden hose will remove most airborne dust and dirt. An ideal material for all climates, aluminum siding products are strong, lightweight and malleable for fancier trims and creative designs. Our steel siding products, similar to a coat of armor, shield homes from nature's most destructive elements like hail and extreme temperatures. Whatever material you select, you can be assured that it's a superior product — backed by proven warranties and complemented with coordinating soffit, fascia and rainware. As the perfect complement to our wide range of siding products, we have the Colour Clear Through™ program. This unique system makes it easier to mix our varying materials and still be assured a beautiful match every time. A-1 Siding and Windows Niagara, offers a wide variety of window options. Our collection is designed for replacement of your old windows, or for installation in new construction homes. Our selection includes a full range of shapes and colours to suit your taste. Our Energy Star certified windows will help reduce your energy cost and lower exterior noise while beautifying your home’s overall appearance. 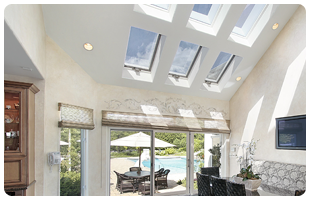 Energy-efficient windows employ advanced technologies, such as protective coatings and improved frames to help keep heat in during winter and out during summer. 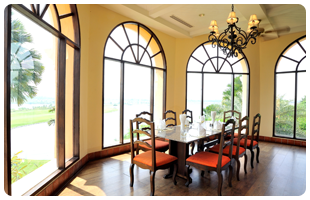 These windows also block damaging ultraviolet sunlight that can discolour carpets and furnishings. A-1 Siding offers a variety of stylish and functional doors that come in various unique patterns, materials and colours. We offer steel, wood, fibreglasses and gorgeous wrought iron doors that will enhance the beauty of your entrance while saving you money. Take advantage of the Energy Star solution as A-1 is an Energy Star participant. Patio Doors – A-1 offers a full line of vinyl and aluminum patio doors and garden doors to suit any home. Storm Doors and Entry Doors – We offer storm doors and steel insulated entry doors from many different manufacturers across the country. Soffit, fascia and rainware not only add the finishing touch to a home’s exterior; they offer protection from the extreme weather— particularly melting snow and ice. For an “exact-colour” match, select your soffit, fascia and rainware from the Colour Clear Through™ palette. These customer-preferred colour choices make it easier to mix and match materials, offering the same 12 colours throughout our entire line. Soffit provides essential ventilation to help prevent roof structure and rafter decay. Featuring a unique extra-rigid V-design, the panels easily lock together for a fast, professional finish. Vinyl Soffitt: Made of strong, durable vinyl with colour that blends all the way through, our vinyl soffit requires little maintenance and never needs to be painted. All our soffit choices include a lifetime limited warranty. Aluminum Soffitt: Ending the need for costly and time-consuming repainting, aluminum soffit is designed to beautify and protect a home's underside. Available in a variety of colours, you can match or contrast these accessories with any home's exterior. Ending the need for costly and time-consuming repainting, aluminum fascia is designed to beautify and protect a home's underside and facings. Available in a variety of colors, you can match or contrast these accessories with any home's exterior. A-1 also offers a complete rainware system which is more than an investment in good looks. It’s an investment in protection from potential damage by rain and melting snow. With raineware in place, water is effectively carried away from your home before it can spill over and damage foundations and basements. Built of corrosion-resistant aluminum, the RainAway System will not rot, rust or warp. A tough, baked-on paint finish resists flaking, peeling and blistering to give you years of service with very little maintenance. All it takes is an occasional washing to restore your RainAway System to its original beauty.